We are a professional Destination Management Facilitator that specializes in the planning, organization and implementation of Medical & Health Travel. Note: Our policy is to protect the privacy of our clients. That is why we do not post personal photos. More information available upon request. 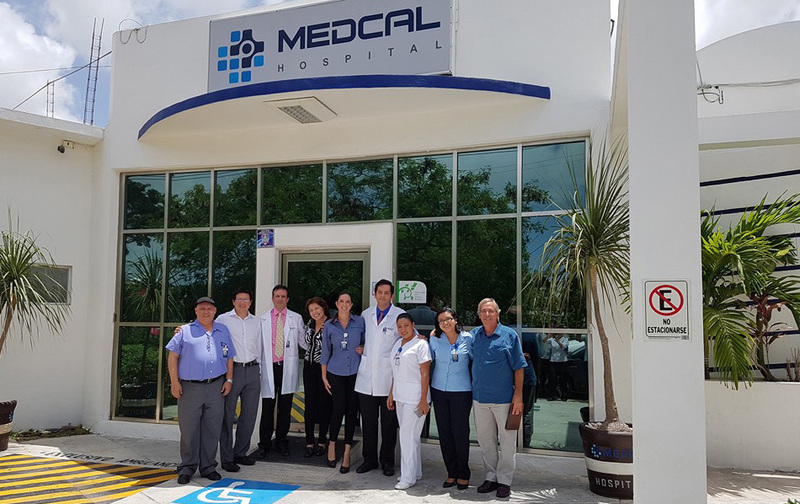 At MedCare Cancún we also provide tourist services through a "Medical Concierge" who will take care of you personally from the time of your arrival to our destination until the end of your stay in the Mexican Caribbean. Assistance for people with special needs. Personalized assistance by one of our Medical Ambassadors during your stay, during lab test appointments and medical treatments. General information about the destination, drinking water, currencies, foreign exchange rates, weather, safety, etc. Assistance and support through an honorary consul in case of an emergency. Paper work for immigration procedures, customs and in case of imprisonment and death. Assistance, coordination and logistics in the handling of equipment. Flight confirmation, changes and cancellations. On-site assistance for hotel changes in case of overbooking, date changes, extended stays and/or cancellation of hotel booking. On-site date changes of previously booked activities or tours, additional reservations and/or last-minute activity or tour cancellations due to an emergency or illness. At MedCare Cancún we guarantee a truly memorable experience. We offer the latest advances in health medicine to face the main infertility problems worldwide and in Mexico. 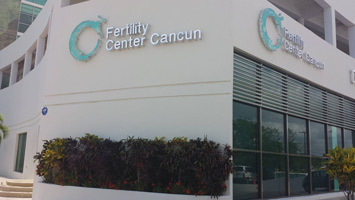 At Fertility Center Cancun we have assisted reproduction specialists that are national leaders in fertility treatments and some of the most experienced and experienced fertility doctors in this field in Mexico. More than fifteen years of experience of worldwide experience endorse us and we have international recognition of the Latin American Assisted Reproduction Network (Red-LARA) as well as the medical training at the most prestigious international institutions. Our infertility clinic has managed to contribute constantly with couples that haven’t been able to achieve a pregnancy and our in vitro Fertilization treatments have achieved results and pregnancy rates above 60% including patients that have undergone recurrent unsuccessful treatments. With our diagnostic programs we compromise to identify the causes and adequate treatment to achieve the family dream, to have a baby. 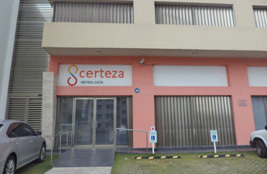 Certeza® Laboratory is dedicated to providing superior attention in hemodialysis treatment. We strive to make your experience as comfortable as possible. Your treatment is managed by a highly qualified team, with cutting-edge japanese technology, in a friendly environment where you will receive personalized care. Our facilities at Certeza® offer you everything you need to obtain a high quality service. Certeza® has better clinical results than the national average. The treatment is administered by highly trained professionals. You are free to read, watch TV , talk to other patients and care team members, sleep or perform any other activity that can be done from the dialysis chair. Just because you need hemodialysis treatment, doesn't mean your traveling days are over. We are Dental Evolution, a Dental Clinic in Cancun, Mexico with extensive experience and professionalism in dental health and cosmetic dentistry. 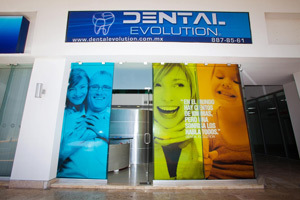 At Dental Evolution we are a group of passionate dentists in one of the most visited places worldwide; Cancun, Mexico. We are a team of Specialists who worry about dental health and aesthetics focusing their efforts on specific dental fields of expertise such as affordable dental implants, cosmetic dentistry, orthodontics and general dentistry among other dental techniques. We provide outstanding quality service in a courteous, warm atmosphere and a complete commitment to our patients. Our goal is to exceed your expectation. The staff at Dental Evolution is 100% committed to your total overall health. 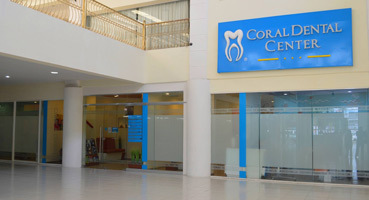 At Coral Dental Center we are as concerned about your health as you are. That's why we have strict safety norms for the control of infections and we meet all standards of sterilization required by official health regulations. All instruments that resist high temperatures are sterilized through autoclave (vapor pressure) that kills infectious micro-organism such as bacteria and viruses. 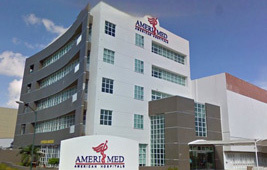 Amerimed Hospital in Cancun is part of a hospital network with more than 15 years of experience providing medical services in select tourist destinations in Mexico. We are the preferred provider for optimum medical care and services for residents and both national and international visitors. We offer a wide array of routine and emergency services. Our facilities include 24/7 physicians specialized and board-certified in emergency medicine. Our nurses offer outstanding care with competence and human warmth, supported by the most recent technology. At Amerimed Cancun we provide care ranging from simple outpatient conditions to highly complex interventions. We are committed to continuous improvement through quality control tools and resources as we continually seek to offer world-class services and to maintain worldwide recognition as a medical services provider. This is only possible by constantly reinventing ourselves and by keeping a strong commitment with our society and the environment. We provide highly decisive "one-stop" medical services, including inpatient hospitalization and intensive care in a cordial and pleasant environment. More than 40 specialists at your service. 24/7 Emergency and critical care services. 3 fully equipped operating rooms. Patients come from the USA, Canada, and around the world to receive high quality and affordable medical care in Mexico. The majority of the patients choose Cancun because of its warm weather, beautiful beaches, and competitive pricing. Cancun offers ease of traveling and similarities of culture. All major airlines serve to the International airport of Cancun. Hospital Galenia is a modern facility with state-of-the-art infrastructure, advanced medical technology, and highly educated accredited medical talent. 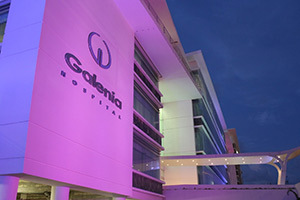 Hospital Galenia is the only 3rd level hospital in the state of Quintana Roo as well as the only hospital in the southeast of Mexico holding the Certificate of Medical Attention Establishments granted by Joint Commission International (JCI), Accreditation Canada International (ACI) and the General Health Council (CSG Mexico)). These accreditations assure the fulfillment of international standards for the Medical Tourism market. Our medical staff is board-certified or board-eligible. Our physicians have been trained in many of the best medical schools and hospitals in the world. Our medical staff provides services in more than 70 specialties, and currently attracts patients from the United States and Canada. The Medcal hospital offers a wide range of high quality health care at an affordable price, we have general practitioners and specialists who offer quality work and the warmth and professionalism that characterizes the Medcal group. Provide the care that meets your expectations and some more, feel at home, we understand that disease is a state of vulnerability, and so we strive to give you the best service and make your stay more pleasant. We have certified doctors with national and international recognition, which offer a wide variety of specialties to achieve high quality care at the best prices. For doctors we offer high quality facilities, at the forefront of technology, to use their knowledge to the maximum and provide the best care to their patients with little impact on the economy of the most important people, his patients. We are people taking care of people. At Cancun Oncology Center we work relentlessly with one objective in mind: to give hope and expert care to those fighting against cancer. Cancer diagnosis and treatment requires a team of multidisciplinary experts along with comprehensive care. At Cancun Oncology Center we treat cancer patients with kindness, personalized care, and the latest in scientific advancements. Diagnosing and treating cancer at Cancun Oncology Center involves a team of experts in radio-oncology, chemotherapy, surgery, and emotional support. Having the most accurate diagnosis of your type of cancer is essential to deciding the most effective treatment plan for you. After physical examinations, our team will diagnose your cancer and identify if it has spread by carefully reviewing results from different tests including blood tests, biopsies, and imaging. 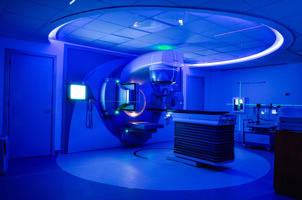 Our Radiology Department has the most advanced imaging technology and our Pathology Team uses the latest techniques to accurately determine the type and stage of your cancer. AFTER HAVING BEEN DIAGNOSED WITH CANCER, WHAT IS THE TREATMENT? The treatment of cancer is provided by a multidisciplinary team of oncologists, who will offer the best sequence of treatment based on the clinical stage of your disease. The most commonly used treatments are surgery, chemotherapy, radiation therapy, accompanied by pain management when necessary. Dentaris, one of Mexico’s most respected and longest serving dental facilities is now offering patients traveling from the United States and Canada the opportunity to be treated by Dr. Joaquin Berron DDS, a Dental Implant and Oral Rehabilitation Specialist and Former Professor and course Coordinator of the Dental Implant and Esthetic Fellowship Program, Department of Prosthodontics at the Louisiana State University (LSU) School of Dentistry, New Orleans. 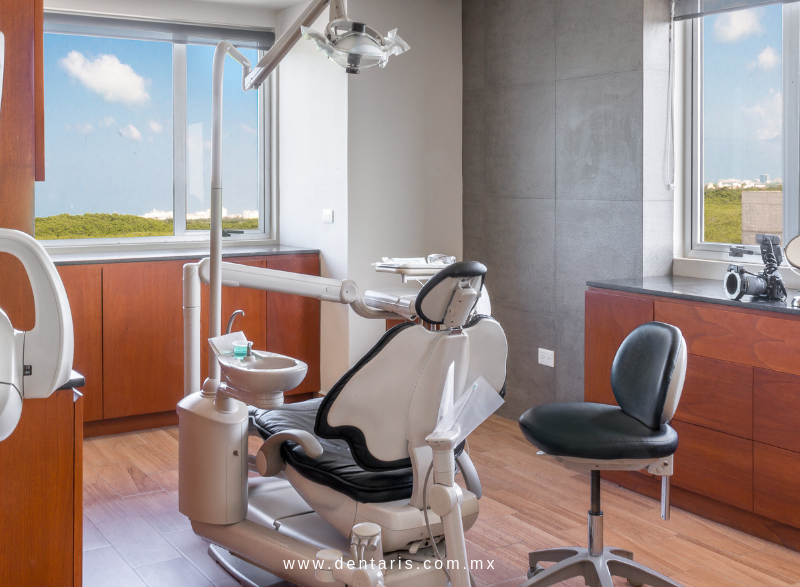 Located in Beautiful Cancún, the state-of-the-art facility offers patients a full-spectrum of dental services with the expertise of Dr. Berrón and his team of highly qualified specialists and staff. The Dentaris team has gained a reputation of professionalism and compassion within Mexico and the international community to ensure their patients are in the very best hands possible.